The restaurant opened in this spot in 1991 ... a sibling to the Dojo that was on St. Mark's Place for 30-plus years. The Dojo faithful I've talked to remain hopeful that the restaurant will return. So far Dojo has yet to note any closure on its website, and its Facebook page hasn't been updated in almost a year. I looked inside the other day and they haven’t touched anything since they closed. Hopefully they can fix the probem and reopen soon. The last couple of times i went there it was not packed but fairly busy, but since their renovation and menu change a few years agao they don’t seem to have the same number of students they had before. Where are NYU students eating these days if they refuse to eat delicious affordable healthy food? I wish someone would tell me what the attraction to DOJO is and has always been. I came to East Village in 1970 and I ate at the restaurant on St. Marks Place once or twice, but I was never impressed by the food or service. 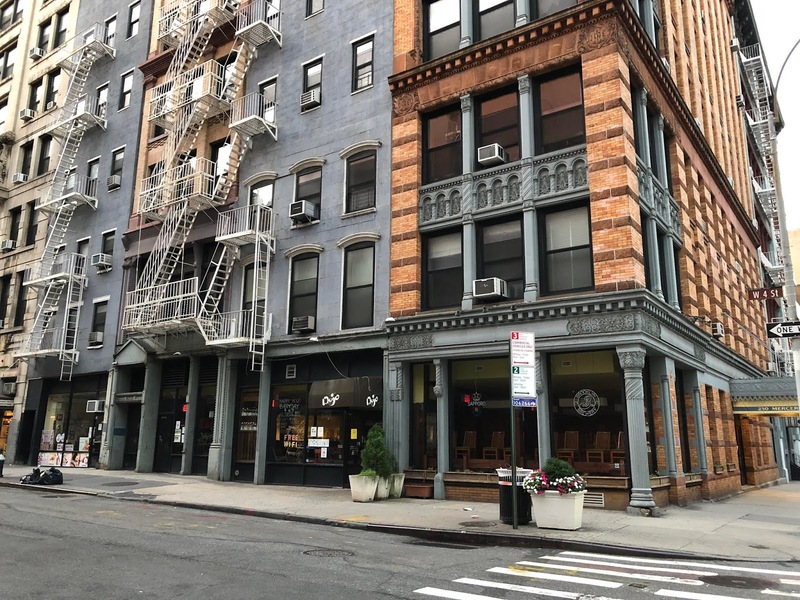 The East Village, and the area around NYU has changed significantly for food options. I noticed, for example, when I was in Cozy [Broadway and Astor Place] for breakfast the other morning at 8 AM that there were only four other people in the place. But when I walked up 8th Street from Broadway to University, many of the places that were open at about 8:30 seemed busy.